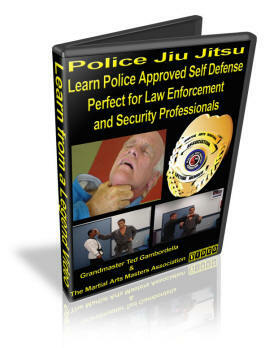 Learn to defend yourself in the real World with the most effective techniques. You will learn all the Basics of Stand Up Jiu Jitsu, Chokes and Controls. With this video you also get a complete full color manual as well. These wrist locks have been copied by many major styles and trained to their students because they are so effective. I studies Aikido for over 15 years and you can learn more about wrist locks in this Video and Manual set than in 15 years of training with a master. It is truly amazing! It takes a Grandmaster who has trained thousands to transfer this knowledge so simply, and in a way that is easy to understand no matter what your Martial Arts experience level is. Dr. Ted teaches all the basics in a Great Jiu Jitsu Seminar at the Texas Seminar. Learn the Mount, Side Control, The Gu ard, Taking the Back and Stand Up Jiu Jitsu Techniques as only the Grandmaster can teach them. This is it! The future of Choke training has just changed forever!Finally released to the public as a part of this certification package. Until now if you wanted this video you had to order it through your Martial Arts Instructor or school. Now it is finally available for purchase here on eBay via this one of a kind certification program. This too comes with a companion training manual as well. 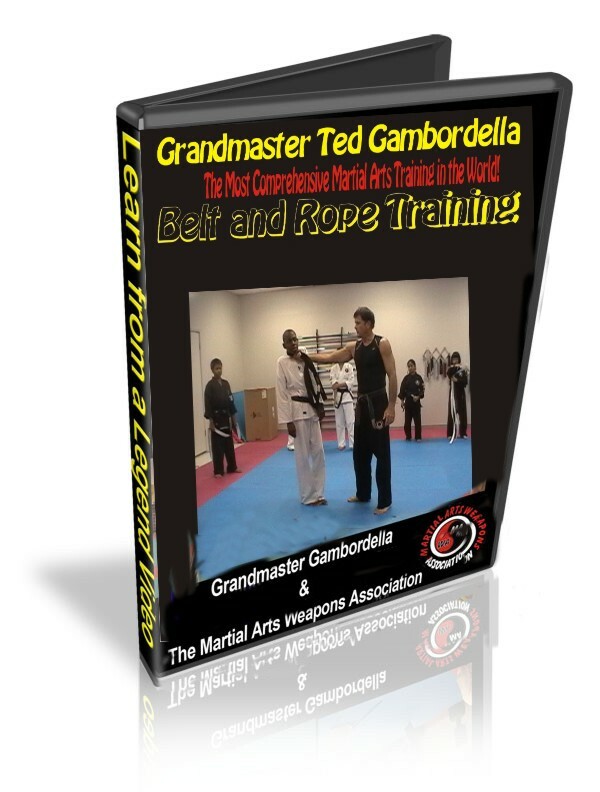 It takes a legend like Grandmaster Gambordella to teach you the secrets to the most hi dden and amazing Martial Arts Talents. Dr. Ted's son Teddy, 4 times State Wrestling Champion in Texas teaches all the basics of wrestling take down, stances and training techniques. You can't beat your opponent on the ground if you don't take them down, and Wrestling has th e most effective takedowns in the World. Teddy and the Grandmaster take you through a basic class in Wrestling Takes downs and also some great exercises to get into Wrestling and Jiu Jitsu Shape. Now this is a major bonus. Dr. Ted's is close personal friends with Martial Arts Legend Troy Dorsey. The Only man to hold a World Boxing Title and World Kick Boxing Title at the Same Time. Master Dorsey teaches the Secrets of Kick Boxing. Everything you need to know to W in the Stand Up Fight. Everyone loves the Nunchaku but not everyone knows how to use them to their full deadly power. The Nunchakus are so deadly that they out ILLEGAL to carry in most States. Even in the hands of a total beginning in the Martial Arts they can be used with devastating effect. I will show you how to use Real Nunchakus and how to use the lighter Tournament Nunchakus and even show some proven Winning Tournament Kata's with one and 2 Nunchaku. The BO has become very popular these days as the "show" weapon of choice for many young Kata practitioners, but many people don't know it is really a Deadly Weapon. When used correctly and in the hands of a trained Martial Artist it is almost im possible to Stop. I will show you how to use a Real Bo and Real Bo techniques, using a heavy Bo, and I will also teach you how to use the "show Bo" or tournament Bo, along with some great proven Winning Tournament Kata's. Everything you always wanted to know about the Bo you will find in this DVD. 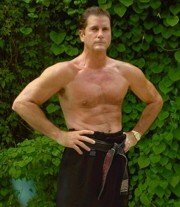 I am been exercising, lifting weights and going to the Dojo or Health Club for 45 years and I don't intend to stop now that I am 58, but sometimes I can't get to the Health Club or I am traveling and don't have a Health Club near. So I always take a Stretch Tube with me, everywhere I go, and always have on in my car. So that anywhere at anyt ime I can get exercise and keep in shape. 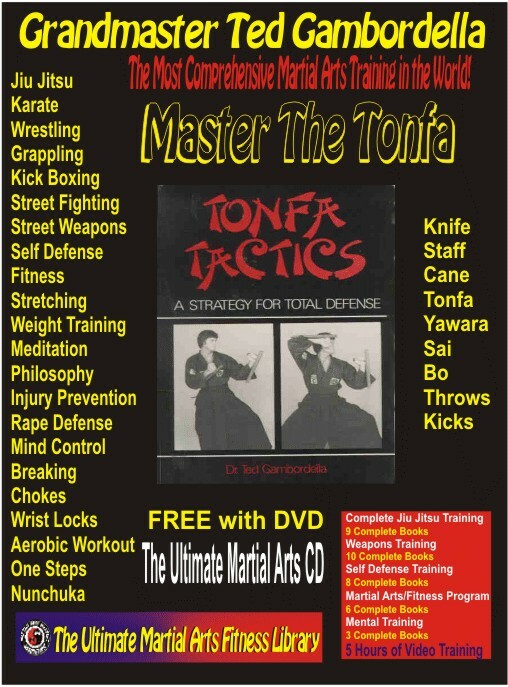 Total Self Defense training for Women. 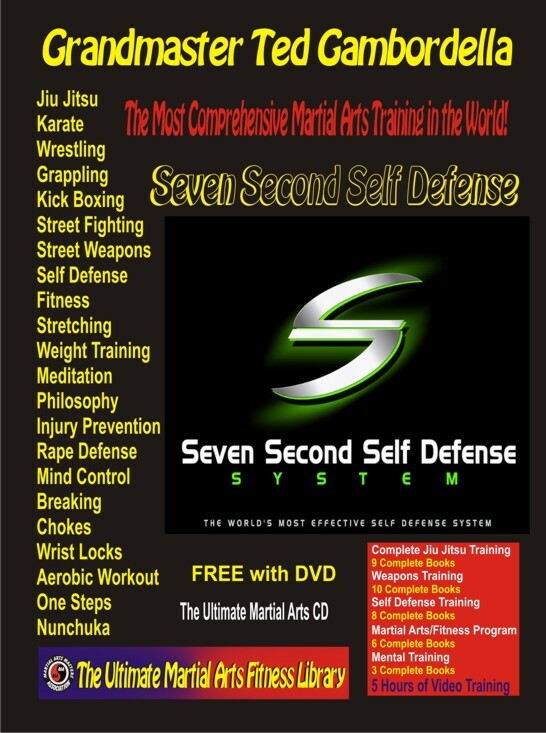 You will learn to use the Seven Second Self Defense System. You will learn escapes, counters, releases, and how to use the Gambretta to defend yourself against any defender of any size. A one hour clinic for women of all ages. This is the Best AB workout you have ever seen, done by someone who has PROVEN it works for 58 Years. I didn't just wake up and think of some good AB exercises, this is the program that I have used for over 40 years, I am 58 years old and I have some of the BEST ABS in the World, not just for a 58 year old, but for Anyone. I will show you an AB routine that WORKS and will make your ABS look Great for a Lifetime. Flexibility and Stretching that will Last a Lifetime! I am 58 years old and I am still just as flexible as I was when I was 20 years old. Time and tim e again I see Martial Arts teachers and students who can't even touch their toes, and who complain that they "just aren't flexible" or they are "too old" to be flexible. WRONG. You can be flexible not matter what your age and I will show you almost 100 stretches that will improve your flexibility dramatically. They are easy to do, won't hurt you and can be done for a Lifetime. 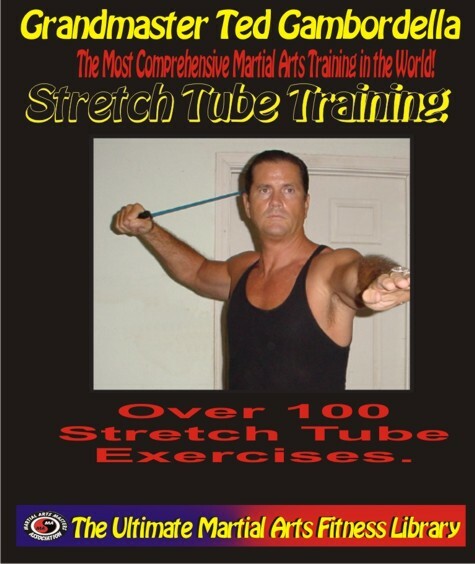 If you are not as flexible as you would like or need to be this DVD is made just for you. All the basics of using the Knife for Self Defense. Throws, blocks, carries, counters. 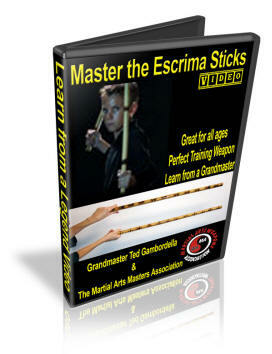 Learn to use the Escrima Sticks for self defense and personal protections. Includes a Kata. Learn the Secrets to Preventing Athletic Injuries. The same program Grandmaster Ted Taught to 10 Universities and Professional Teams. Everyone gets older but you don't have to get "old". You can be strong, vibrant, dynamic, flexible, powerful, healthy for LIFE! celebrates his 60th Birthday and does his 5 Millionth Sit Up. THE MOST IMPORTANT THING IN YOUR LIFE!!! !